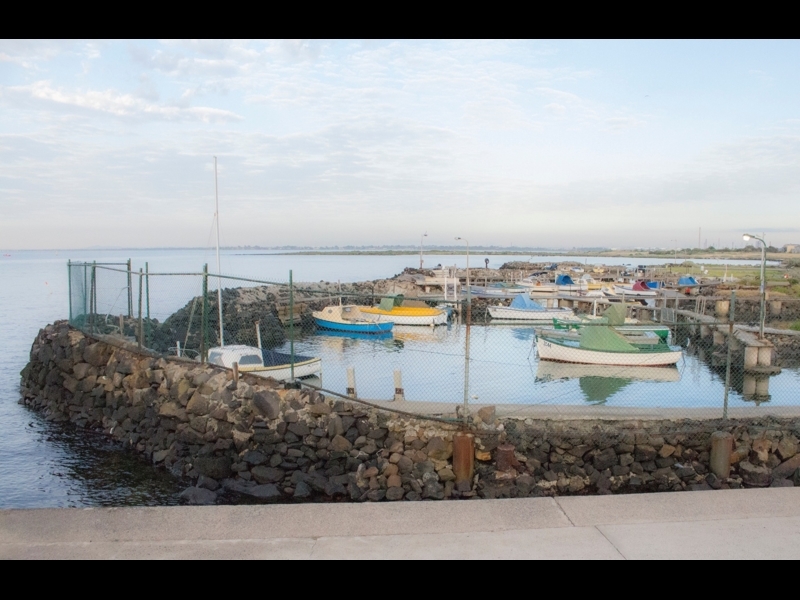 An easy, mostly dog-friendly walk along the foreshore in the Rifle Range Estate in Williamstown, From Gloucester Reserve, and including the Jawbone Marine Reserve. The link above is to more dog friendly walks. Part of the Foreshore Trail from Williamstown to Altona, this section of the trail starts in the Dog-off-Leash area in Gloucester Reserve adjacent to Williamstown Beach. The walk then heads along the well-made path through Jawbone Nature Reserve, and can be followed to Altona and beyond. 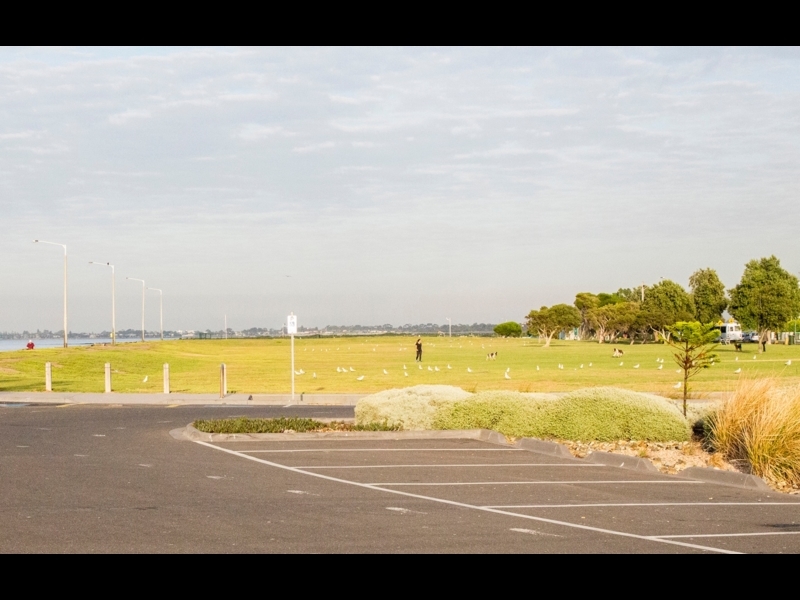 Gloucester Reserve is a dog-off-leash area that can be accessed via a short walk from Williamstown Beach Railway Station, or from the beach car park. Parking costs $4 per hour between 8am and 8pm. 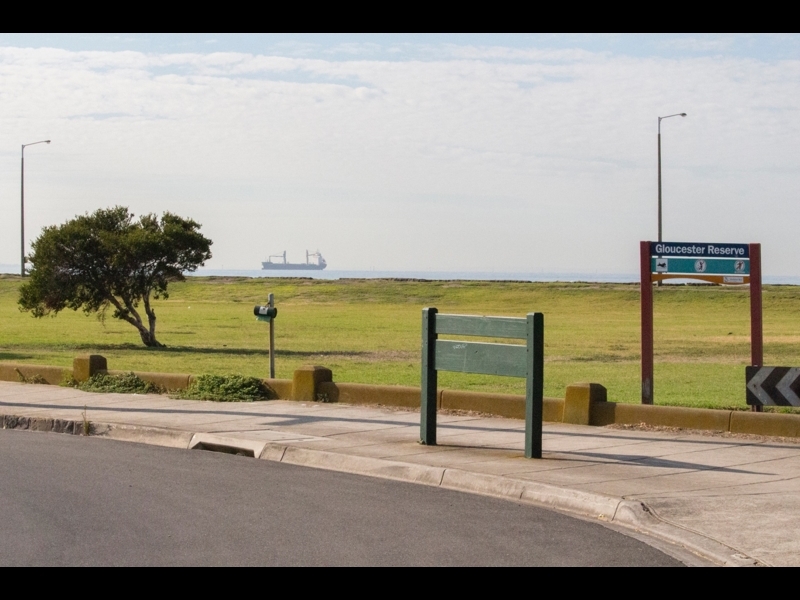 The foreshore walk is dog-friendly, but be aware that the Jawbone Marine Sanctuary itself is off-limits to dogs and large sections of it are off-limits to pedestrians too, due to it's high conservation values. 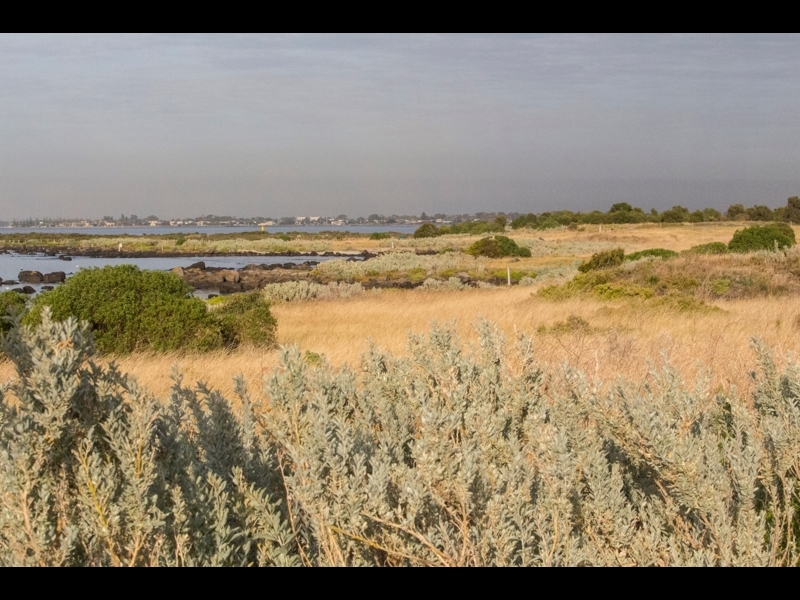 It is home to the best preserved of only two populations in Victoria of the White Mangrove Avicennia Marina, and the area is an important habitat and breeding ground for a large number of bird and marine species. The sanctuary has track and boardwalk access and is well equipped with both directional and interpretive signage. 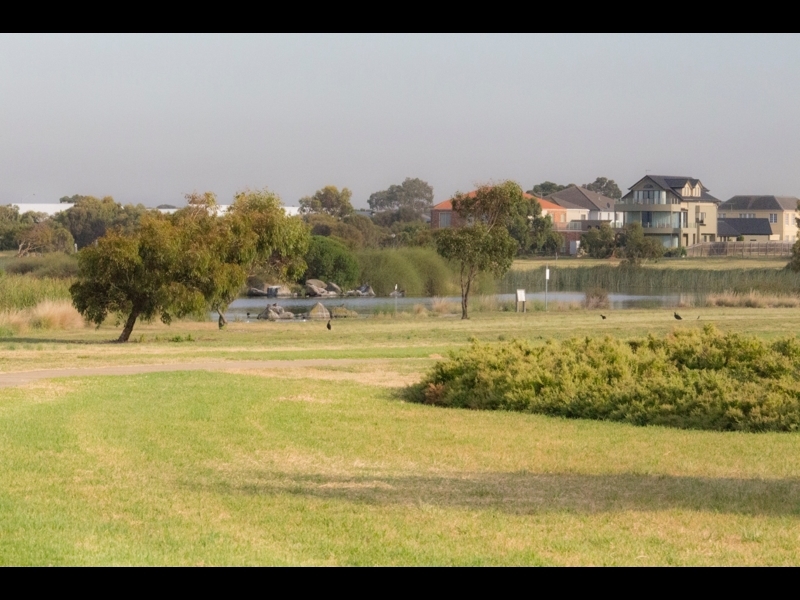 The dog-friendly zone of the reserve has well maintained parks and wetlands, excellent paths, a bird hide, playgrounds, plenty of seats and viewing spots, water and bins. 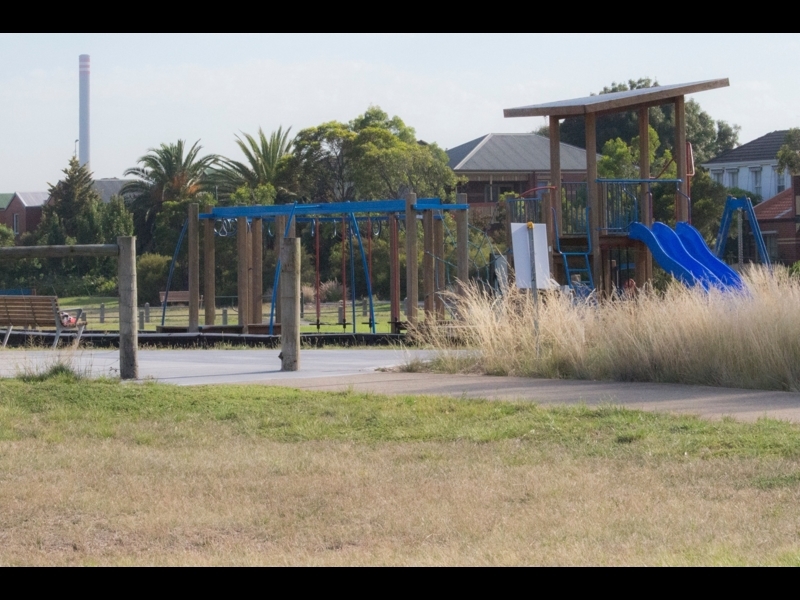 The reserve can be accessed from several points throughout the Rifle Range Estate and it is possible to choose a variety of routes through the reserve, surrounding streets and Williamstown Linear reserve. 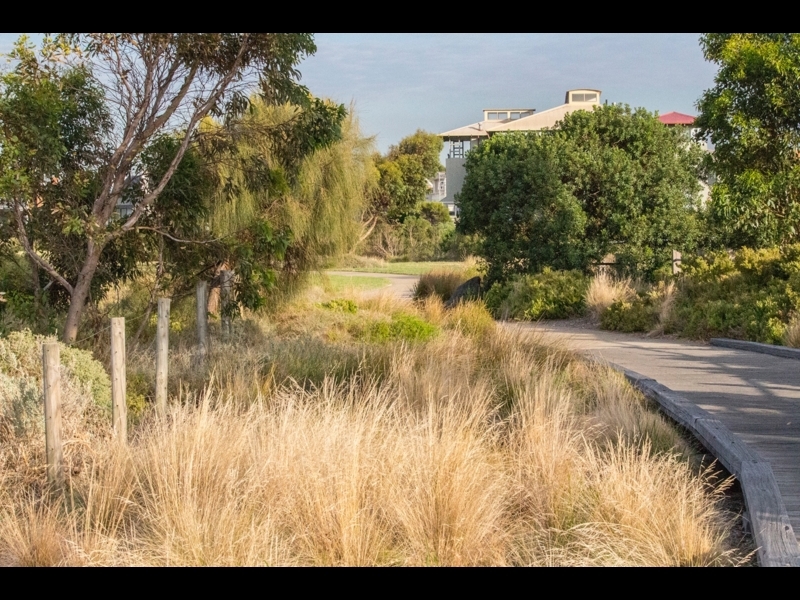 The path continues along the north side of the mouth of Kororoit Creek to Cherry Lake or on to the Altona Coastal Park, where there is another dog-off-leash area - the Altona Dog Beach. The view from the car park, looking west towards Seaholme and Altona. A step back in time. This harbour has been here a long time and is famous for being painted in the 1950s by John Percival. It is home to a couple of fishing clubs. 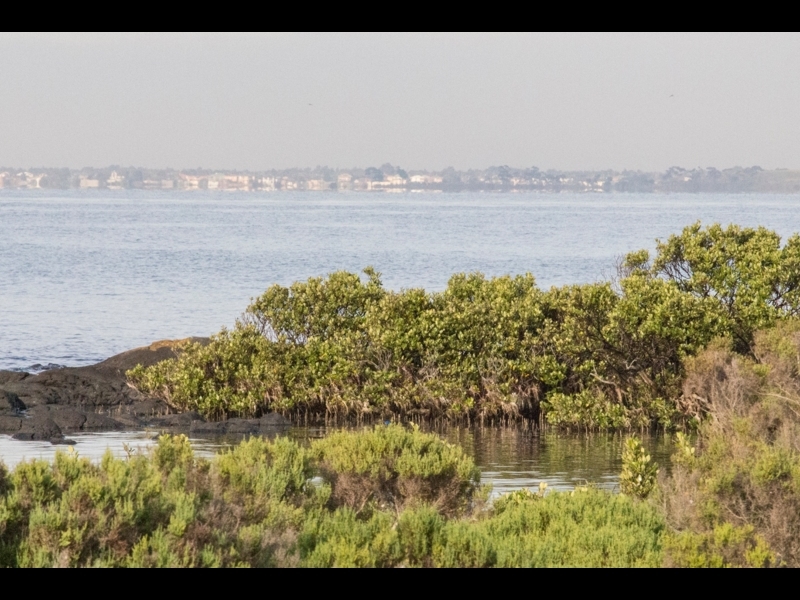 The Jawbone Marine Sanctuary is home to a rare flora and fauna. Dogs are not permitted in the sanctuary, and pedestrian access is limited. You can view the coastal ecology via a boardwalk. 5. Where you and your dog can and can't go. 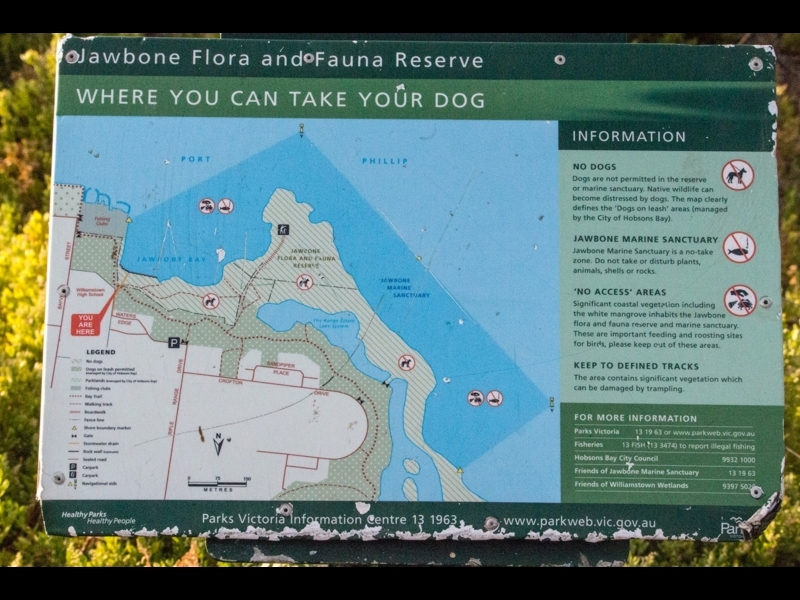 There is plenty of good signage around detailing paths and natural history, and which areas are off-limits to dogs and humans. There are only a couple of populations of Mangroves in Victoria and these are in the best condition. They are important habitat and breeding area for many marine creatures. Prior to the housing estate being developed in the 1980s and 90s, this area was used by the army as a Rifle Range, which is why a lot of the coastal area is relatively undisturbed. 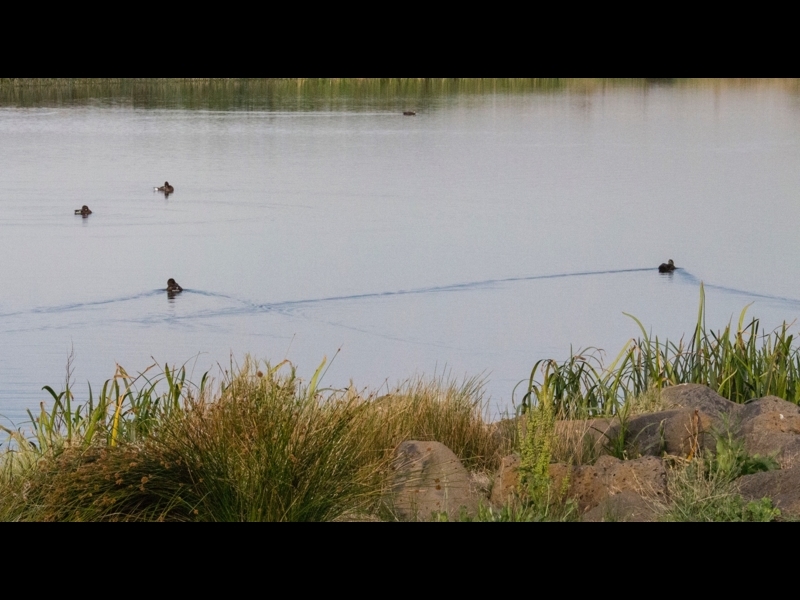 Just off the path, overlooking one of the lakes is a bird hide, where you can observe the numerous water birds doing what they do. All along the path there are views of the wetlands. The paths are all excellent and well maintained. 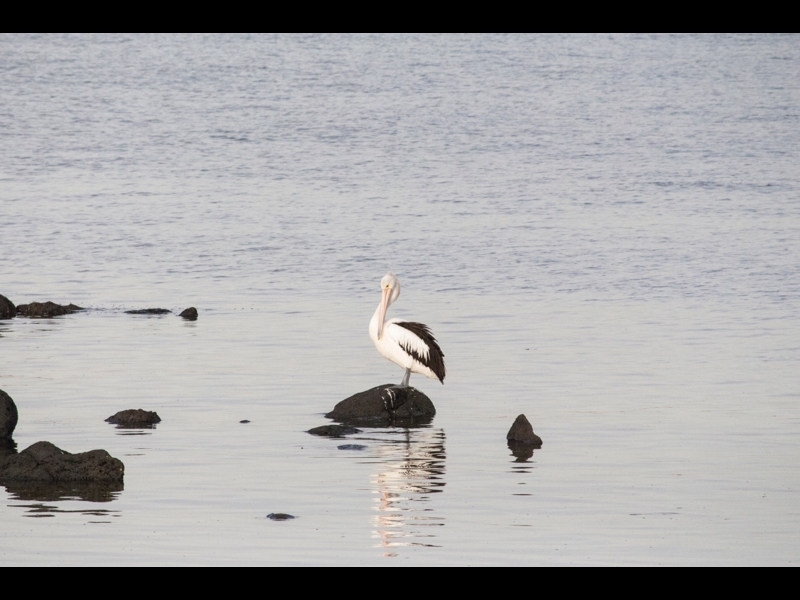 Many species of bird use the foreshore and sanctuary as habitat. Including some that migrate from Siberia. 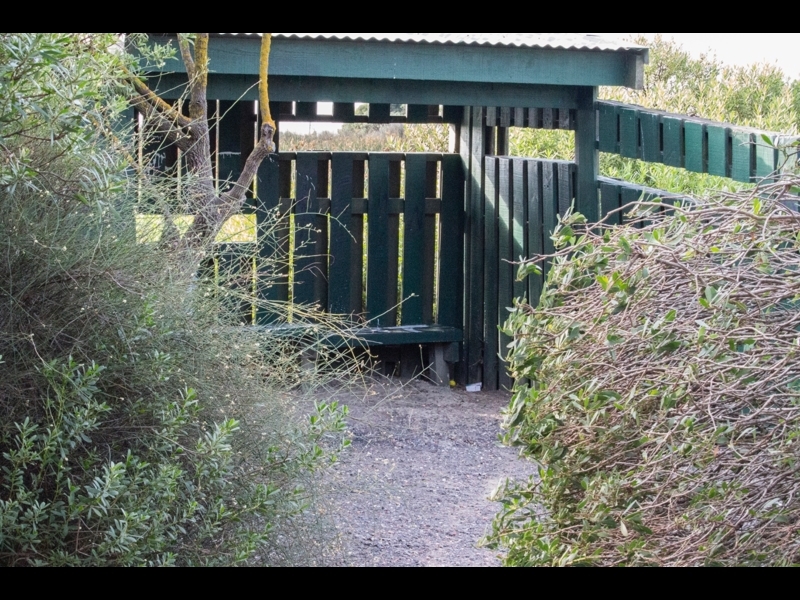 Throughout the reserve there are several playgrounds, as well as water fountains and bins. You get plenty of opportunities to meet the locals.